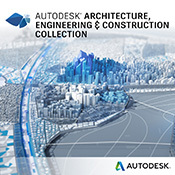 Autodesk InfraWorks 360 is a planning and design solution that helps engineers to quickly and easily convey preliminary design intent in a real-world, contextual environment, increasing stakeholder buy-in and team decision-making. Autodesk InfraWorks 360 software is a planning and design solution that helps engineers to quickly and easily convey preliminary design intent in a real-world, contextual environment, increasing stakeholder buy-in and team decision-making. Efficiently access and integrate data from multiple sources into a highly accurate model. Automated, rich 3D model building capability combined with cloud technology and vertically-specialised functionality gives you a design tool to confidently envision the full potential of a project; create competitive distinction to win work. Teams are empowered to make decisions where and when needed â€“ all while saving time and money through automated integration versus manual compilation. Infraworks 360 LT is included as a subscription benefit for Building Design Suite Premium, Infrastructure Design Suite Premium and Infrastructure Design Suite Ultimate. 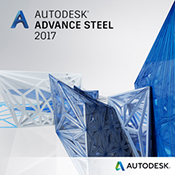 Desktop Subscription gives you access to Autodesk software - the same full version you get with a perpetual licence - but with a flexible, pay-as-you-go approach for a software budget that is easier to manage.